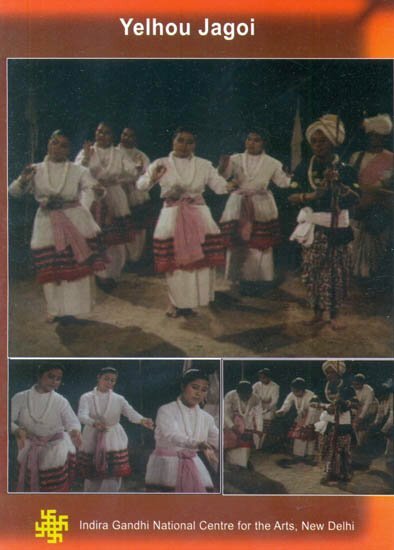 Yelhou Jagoi is re-enactment of creation also known as Lai Haroba, a dance form of Manipur. The myth of creation, re-creation, reflections of flora and fauna and the synergy of mankind and its endeavour are beautifully encoded in these celebrative enactments. From the story of creation and re-creation it manifests the living within the nature that express through 364 hand gestures (Khutheks) used in dance sequences called Laibou. The documentation highlights Nungnao Jagoi – through this Maibis express – the birth of a child and its growing process. Similarly the Yum Sarol looks at the construction of traditional houses. Again the documentation also highlights Panthoibi Jagoi, which celebrates romantic love of Lord Nongpok and Goddess Panthoibi. Likewise the film highlights the lesser known nuances of ritualistic dance form of Manipur within the broader spectrum of nature and contextualizing the creation and co-living with the nature itself.